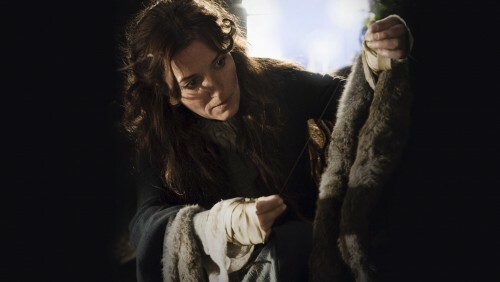 Catelyn Stark discovers a single, golden hair that may be a clue to what happened to her son. For what it’s worth, this was not, to say the least, a favorite part of the episode for us. It seemed to condescend to viewers, by introducing a “Winterfell: CSI” segment for no obvious reason. Doubtless the producers had their reasons, but we’re not sure they were good ones.